Princess Camryn is a kind, humble girl who is taught to believe she is a horrendous creature. Mirrors were prohibited at the castle. Although her family was revolted by the princess, the whole court loved her. Being unattractive was not acceptable for this arrogant Royal family known for their exquisite beauty. 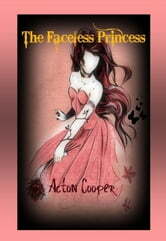 The only way to prevent Princess Camryn from becoming a Queen is to make her disappear forever. With the help of her sister, the Queen finds a warlock to cast a spell on the Princess. The princess is cursed to a sparkling rivulet form by the despicable warlock. The only way to break the spell was for a kind, handsome prince to fall in love with her in her new form before she turned eighteen and for him to seal and dry the creek’s source.